Ready to start your first big sewing project? 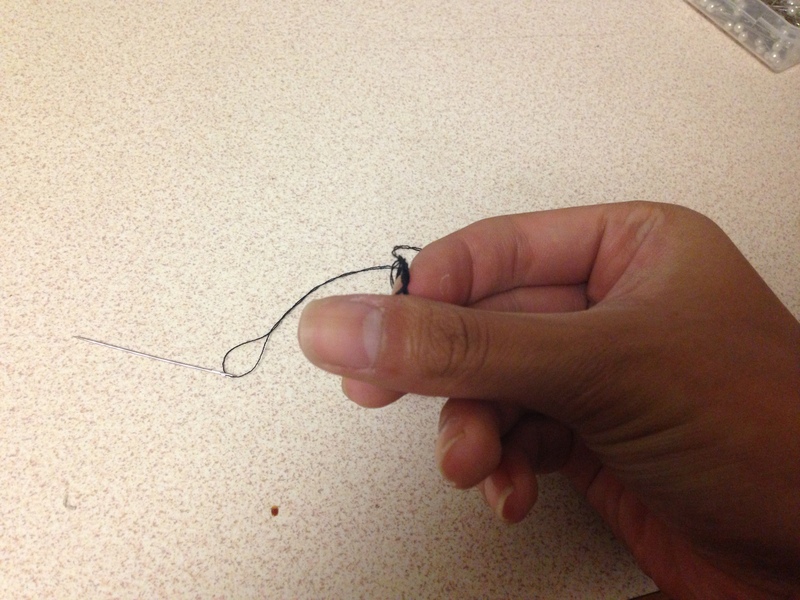 Make sure you knot your needle properly, or else your stitches will quickly become undone! 1. Place the string on your index finger. 2. 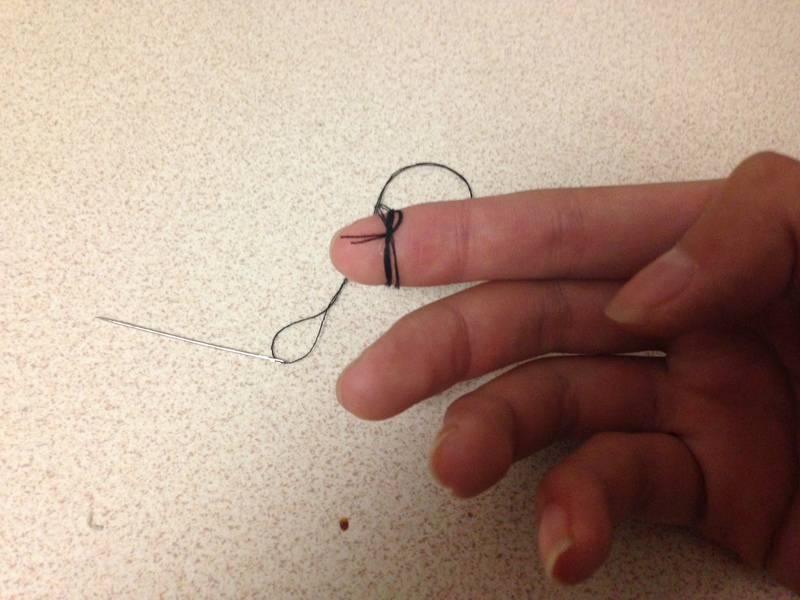 Wrap the string around your finger three times. 3. 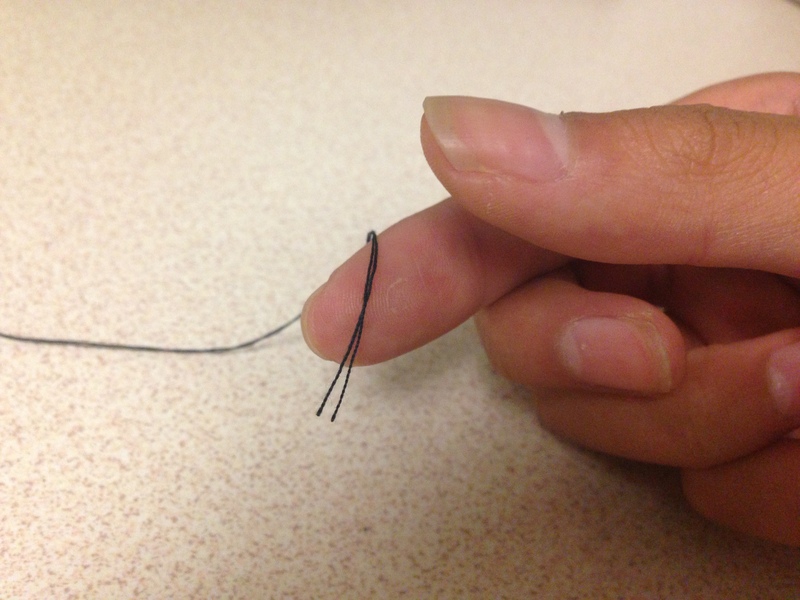 Roll the thread forward with your thumb off of your index fingers. 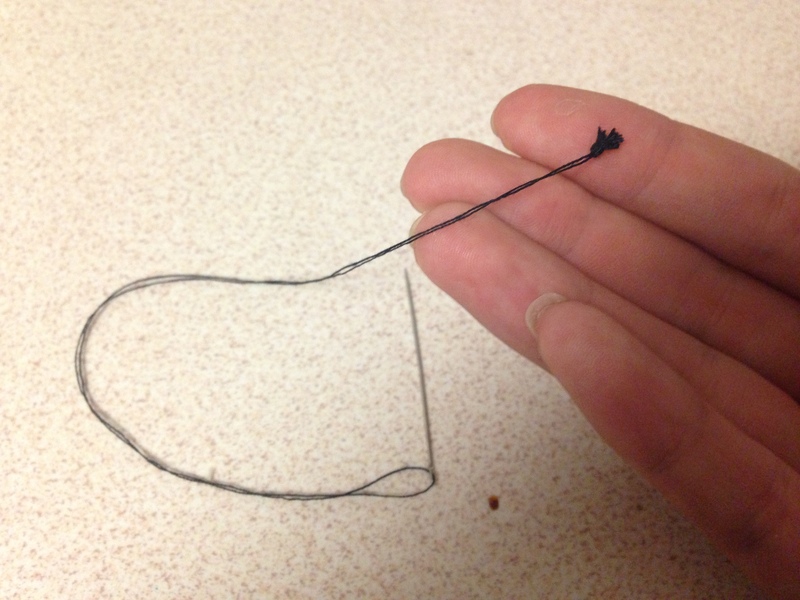 The thread should wrap together to form a little loop. 4. While gripping the loop, pull the needle forward. You should be left with a very secure knot.